Captain TJ is a United States Coast Guard Certified Master Captain and has been fishing the waters of Long Island Sound his entire life. 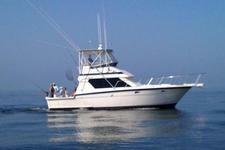 He started competitive fishing at age 11 with his father, winning TWO top spots in Montauk shark tournaments. He has been hooked ever since.